This week Fanart is by Britan. 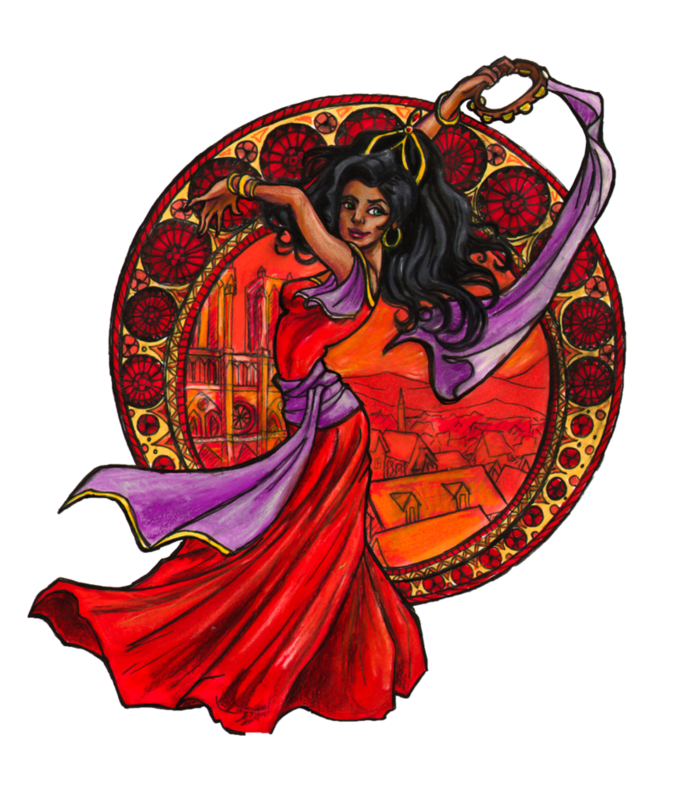 It’s a rendering of Esmeralda in her red dress against a background that features Notre Dame and rose windows in red tones. It’s very beautiful.